samples, it generally takes three days to build and two days to ship to your dock. For production and manufacturing, your product will be ready to ship in ten days to four weeks. With our Asian facilities, we make it possible for your company to reap the benefits of offshore pricing. Count on us to provide high-quality, low-cost printed circuit boards with a timely delivery to our domestic customers. 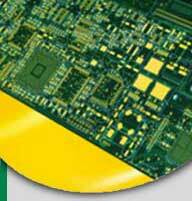 We can meet your requirements for all types of PCBs: single-sided, double-sided and multi-layer. Our approach is to identify and utilize the most cost-efficient circuit board manufacturing practices available for your specific project. From design to fabrication—we take care of it all. Our quality control process ensures your full satisfaction. All materials and components are inspected at each stage of production and every finished product is scrutinized before delivery—to ensure that they conform with IPC specifications and standards, while meeting your requirements. This guarantees that the end product will be the right solution for your needs. Cir-Q-Tek stays at the forefront of the industry to meet the demands and ever-changing requirements of our customers. Our specialized team of experts is always incorporating new ways to utilize the latest advances in technology. We offer single sided, up to and including 40 layer multilayers. Also, blind and buried via, impedence control, and laser drilled holes down to .0039” mils. In addition, our sources are using a wide range of esoteric substrates which include mixed technology lamination. We are producing products with lines and spacing down to .003”/.003” mils. All of our PCB products can be made to RoHS (Restriction of Hazardous Substances) specifications, and all of our sources offer the latest millennium metallic finishes. These finishes include: HASL (Hot Air Solder Leveling), HAL (Hot Air Lead-Free Leveling), ENIG (Immersion Nickel/Gold), Immersion Silver, Immersion Tin, and ENTEK 106 A-HT which is an OSP (Organic Solderability Preservative)…just to name a few. In addition, Cir-Q-Tek utilizes the process of laser direct imaging that gives you a substantial advantage over traditional methods by eliminating the possibility of distortion, shrinkage, or positional errors.